The Country Idol competition consists of 12 preliminary events, held at venues across the Valley, and the finale event, to be held at the Arizona Gay Rodeo at Corona Ranch on February 16 and 17, 2018. Contestants will be randomly assigned to their performance order at all levels of the competition. ​Each preliminary event will consist of two rounds. All contestants are guaranteed a performance in the first round. The second round will consist of 3-5 semi-finalists, depending on the overall number of contestants. The top 2 scoring contestants from each preliminary event will be invited to the Country Idol finals event. Contestants can only qualify for the finals event once. The final event will be split into two rounds on Friday, February 16, 2018, and Saturday, February 17, 2018, at the Arizona Gay Rodeo. All preliminary finalists will compete in the first round on Friday, February 16, 2018. The top 10 scoring finalists will compete again in the second round on Saturday, February 17, 2018. Contest winners will be announced on Saturday, February 17, 2018. More details on the finale event can be found on our Events page. Employees of AZ Hitmakers and AGRA are not eligible to compete in the competition. All types are forms of music will be accepted for the competition (e.g., pop, rock, country, blues, hip hop, Broadway) and all will be judged according to the same criteria. This is an amateur competition, but is open to all skill levels of singers. You are considered an amateur if you are not under a national recording contract. Contestants can sing the same song as a previous contestant, and cannot change their songs once the competition beings. In the event of a tie, the contestants will complete a "sing off"--contestants will select a new song, and the judges will rescore their performances. This competition is to be conducted in the fairest forum possible. While performing or representing the competition, contestant behavior must be respectful and within the rules of the establishment. Improper behavior, disorderly conduct or intoxicated behavior can or may lead to immediate disqualification and loss of any prizes awarded. Final decisions regarding disqualification will be made by the AZ Hitmaker Board. Karaoke music will be provided by AZ Hitmakers only during the duration of the competition. No outside discs or downloads will be permitted. All singers are required to use the microphones provided by the host. AZ Hitmakers reserves the right to use all names, photos, videos, music and any information provided by the contestant to market or promote the competition. Any damage or misuse of the provided equipment will not be permitted and may lead to disqualification. The contestant also assumes the responsibility for any reimbursement to any damaged equipment. Contestants may not use props or instruments during the competition. Costumes are acceptable. Contestants must be 21 years old or older at the time of their entry into the competition. Contestants must complete an entry form prior to the competition start in order to be entered into the competition. By submitting an entry form, contestants warrant their compliance to all rules and regulations. All information on the entry form will be accurate and true. Any information provided that is misleading or false will be reviewed by the Board and could lead to disqualification or denial of entry. One entry per person per night. Contestants may try to qualify as many times as needed until they win a preliminary round, but can only qualify for the final events once. The top 2 scoring contestants from each preliminary event will advance to the finals event. Contestants can only qualify for the finals event once. Contestants are allow to compete in as many preliminary events as they'd like, provided they have not placed in the top 2 at a previous venue. Alternate finalists may be chosen based on the judge's discretion. 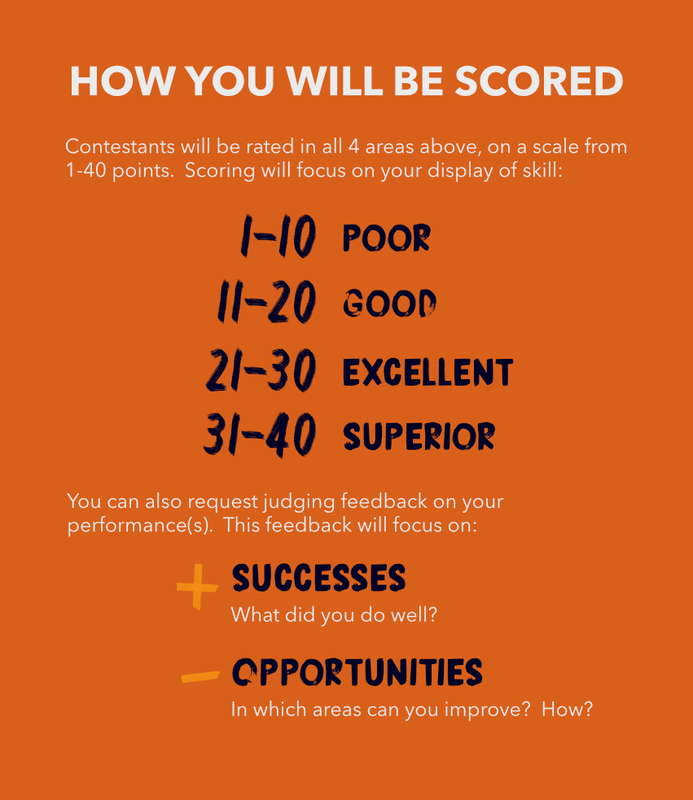 For all 4 areas listed above, contestants will receive a score between 1 and 40, based upon their display of skill. Contestants can also request feedback from the judges; this feedback will focus on their strengths and suggestions for opportunities to improve. Preliminary finalists will be awarded a bar tab care of their winning venue: $25 for the 1st place finalist, and $15 for the 2nd place finalist. The final prize package will be announced later this Fall, but may include a cash prize, show tickets and performance opportunities in the Phoenix area. Country Idol Winner's Tour: The Board and the finals judging panel may invite 5-6 Country Idol finalists to perform at AGRA charity events and showcases after the finals event. Stay tuned for more details. If you have any questions or concerns, contact us at azhitmaker@gmail.com. And remember to have fun!